What makes a ski resort great? Is it the lift network? Deep snow? Terrain? No matter how you stack it up, Sierra-at-Tahoe should be on your must ski/snowboard list when visiting the south shore of Lake Tahoe. 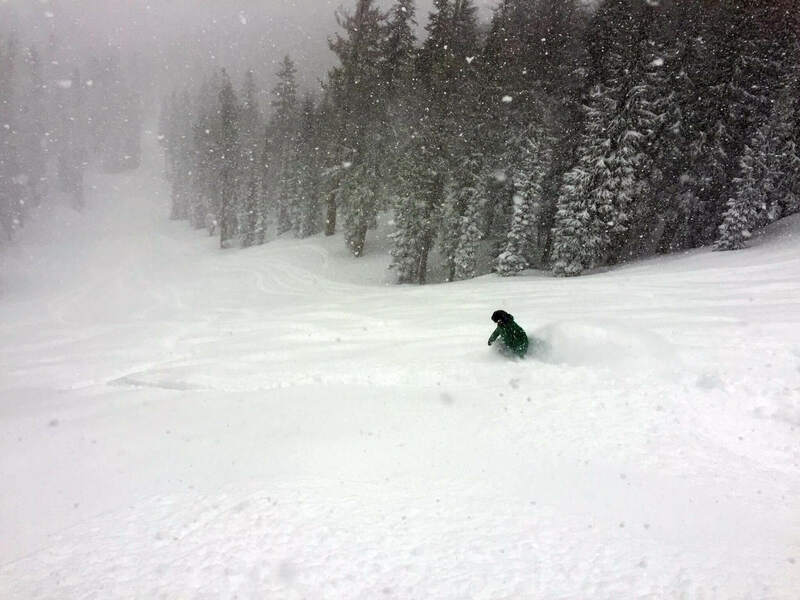 We might be a bit biased, but there’s a reason we call this resort our “happy place” & go to spot to hit on a powder day. Kirkwood is known the world over for its steep n’ deep while Squaw Valley is legendary for those wanting to get after it. Everything about Sierra-at-Tahoe… is secretive. A true “Locals” spot. It wasn’t until a friend gave us a personal guided tour of the resort did I realize what this place had to offer. From a terrain perspective, almost 1,500 of the 2,000 acres are hidden in the trees. From the eyes of a foodie, the “stashes” of what they serve are just as concealed. 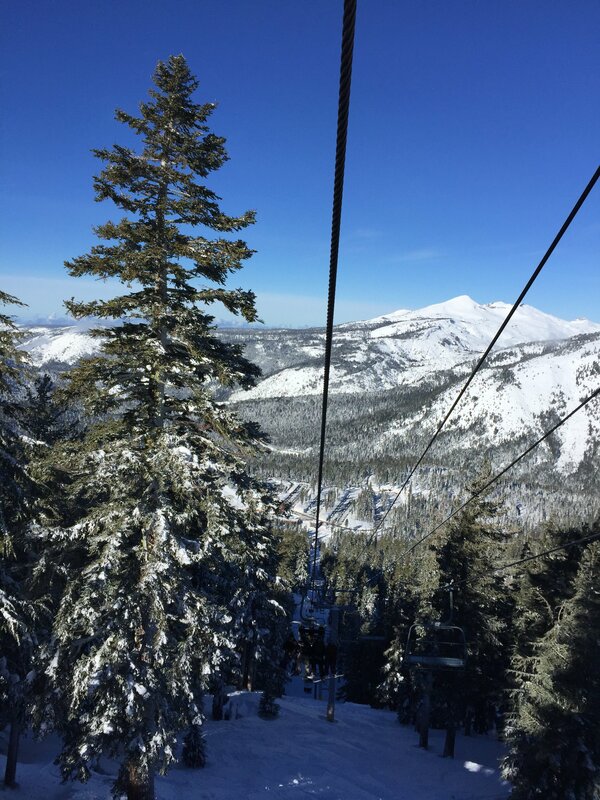 In our Sierra-at-Tahoe Resort travel guide, we’ll reveal a bit of the tasty treats you’ll find and introduce you to what kind of terrain it has to offer. Of course, we’re not going to share all the secret stashes. If you want those tasty tidbits, you’ll have to make friends with a Local & perhaps buy them a barley pop. When you’re riding up the Grandview chair, you’ll sometimes hear this place being called “The Ranch”. Why, you ask? Well, back in 1946 when brothers Ray and Floyd Barrett started the resort, they named it the “Sierra Ski Ranch”. Similar to Chicagoan’s calling it Sears Tower versus Willis, there’s many a Local that still go with this moniker. Where Sierra-at-Tahoe lacks in huge open faces like Kirkwood or Squaw Valley, it’s replaced with what we like to call “Kootenay pillows”. Sierra-at-Tahoe’s terrain can be considered “Boulder-tastic” to say the least. With an absence of dirt & abundance of rock, once the snow is deep, these rocks become pillows to blast over. Trails under Grandview like Dynamite & Preacher’s Passion cascade down nearly 1,300 vertical feet. Your legs will be begging for mercy. And for those that can’t live without bowl terrain, head over to Gates 1-5 in Huckleberry Canyon. 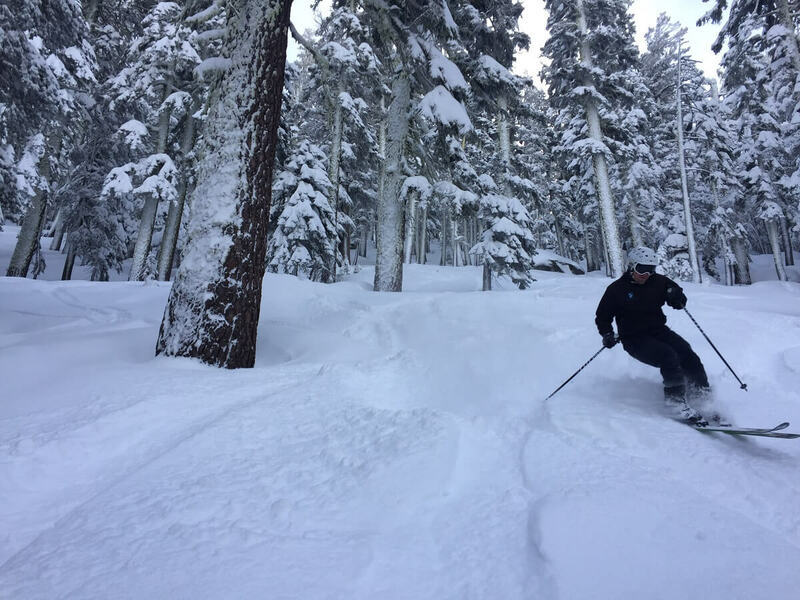 This lift accessed backcountry zone is filled with cliff bands, steep slopes and an assortment of playful terrain fit for any serious shredder. For those feeling a bit timid but still curious, there are guided tours available for this area. Bee-line straight over to the West Bowl area. Nearly all the trails that trickle down to this lift are blue square. Powderhorn & Pyramid are a great option for anyone looking for a leisurely run. Wide with plenty of space to negotiate steeper sections, you won’t feel hemmed in. If you’re feeling a bit more confident, try Horsetail if it’s groomed. It has the same fall line but a bit narrower. 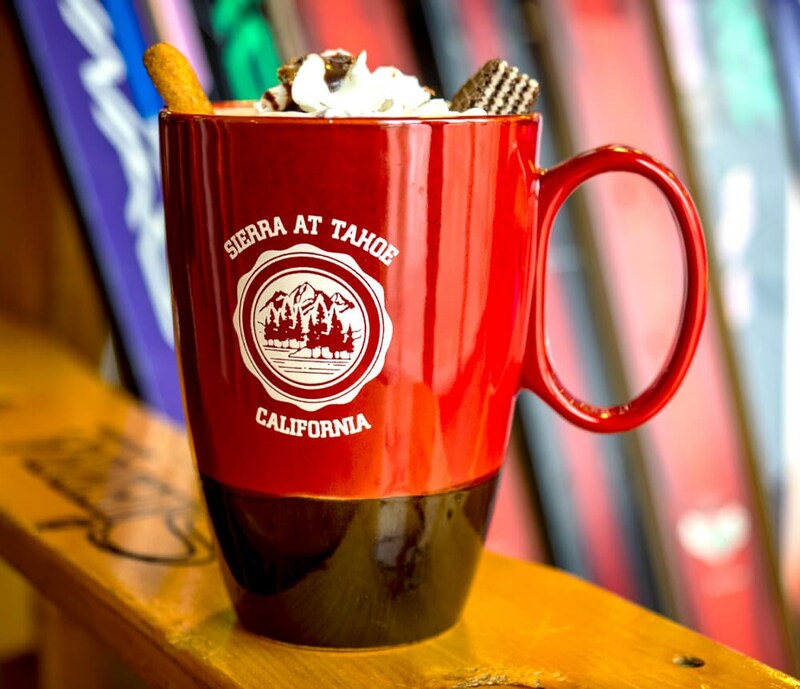 As the classic song “On Broadway” states, “They say there’s always magic in the air on Broadway.” And that rings true at Sierra-at-Tahoe for people starting on the slopes. Right at the day lodge, the Broadway slope is served by its own quad chair. 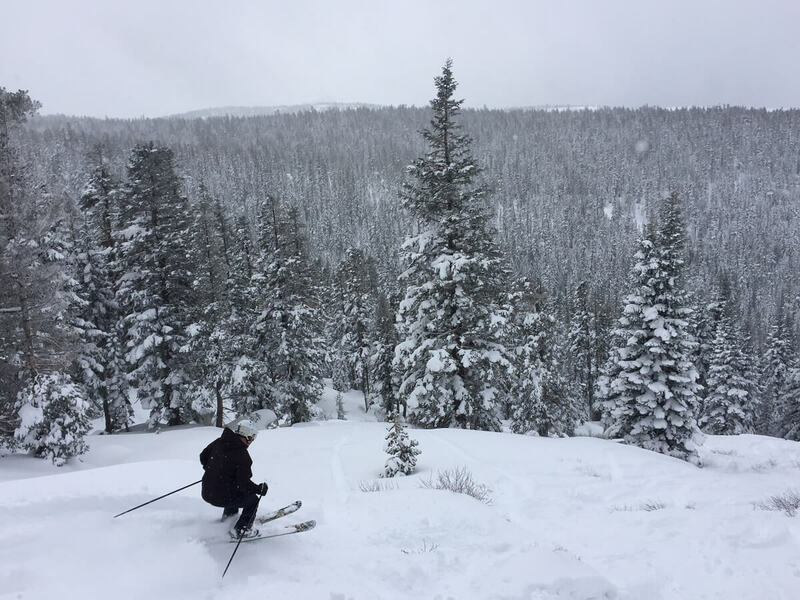 And once you’re ready to test your limits, head over to the Grandview chair & try out the easy cruisin’ run of Sugar n’ Spice. As you descend the trail & a snowbank appears to the left, stay to the middle or right of the run. Hot shots like to bomb this section and shoot out of the trees between this run & upper Snowshoe. Pour over coffee at a ski resort? While Sierra at Tahoe is only 12 miles from South Lake Tahoe, it is a challenging drive since you have to get over Echo Summit especially if there’s active chain controls. 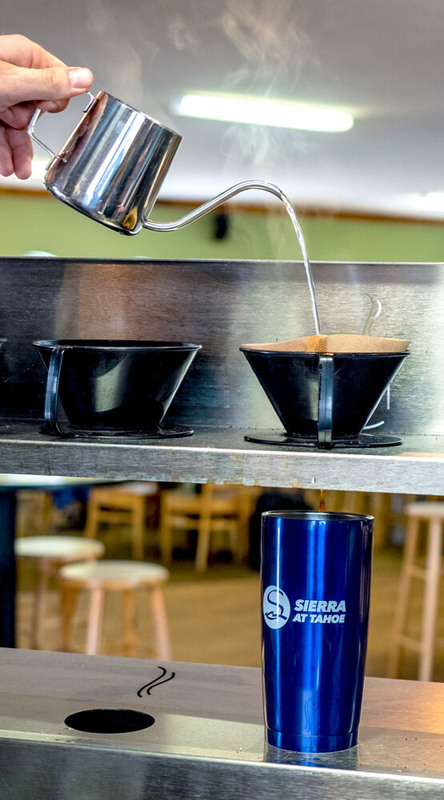 Luckily, for those that leave town early, you can enjoy a fresh cup of high-quality pour over coffee inside the main lodge at Java Junction. The employee favorite in the morning is the dirty Chai. The key to it its popularity is the David Rio tiger spice which is way better than the syrup. Of course, you can head back down to South Lake Tahoe and grab a bite to eat at places like Coldwater Brewery or Blue Angel Café. But, there are some tasty, hidden treats you should consider at the resort if you’re looking to fuel up. Inside the unassuming igloo shaped building is the “Solstice Eatery” featuring some of the best food you’ll find on the slopes anywhere! 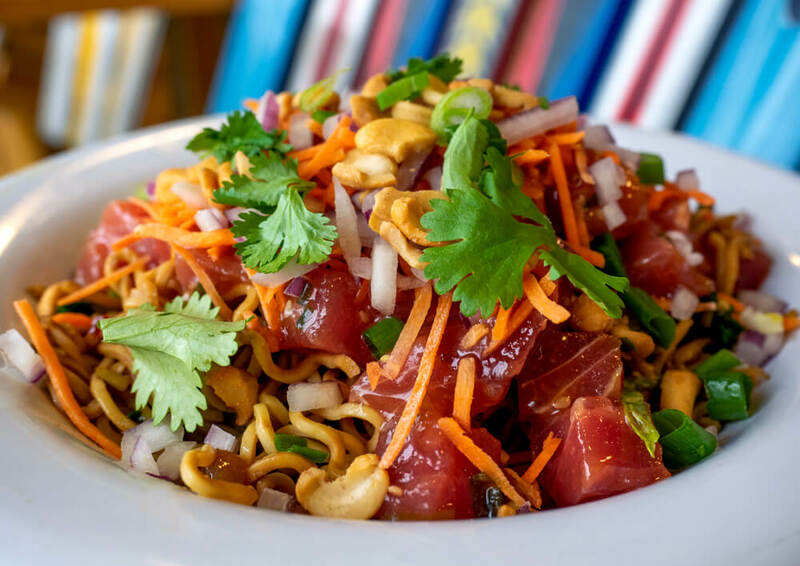 Our personal favorite after a long morning of shredding pow is the Poke Bowl. It’s like sushi in a bowl, but even better. The seared tuna, fresh veggies and sticky rice combine for a fresh meal that will leave you full & happy. For those looking for an awesome sandwich, try their Banh Mi with tri-trip. It’s tender, juicy & spicy. Perfection! Feelin’ a bit more extravagant? Grab the salmon noodle dish. A bed of home-made gnocchi style noodles, stir fried veggies and baked salmon covered in a miso paste are something you’d find at a high-end restaurant. It’s so good that you might come up just for lunch and skip the skiing. For those heading back to Sacramento or the Bay Area, Sierra-at-Tahoe features a cool concept that we’ve never seen anywhere else. Understanding their market, they provide a takeaway meal so that you can have an amazing hot dinner once you get home without being forced to cook. It also comes with a high-quality bottle of local Zinfandel that’s “Snowmmelier” approved. In addition to the killer food inside this igloo, there’s the Corkscrew Bar featuring what they call the “People’s Bartender” – Tony Dove. After 15 years of surfing in Costa Rica, he came back to “catch the winter wave”. As soon as he saw this bar, he was sold & has been here since the beginning. Like any good bartender, Tony serves up cool one-of-a kind drinks like the Chip Shot and the Olympic Colada. The Chip Shot, originally from the Edgewood Golf Club, is like a hot toddy meets hot chocolate meets coffee. A great option for those cold snowy days. The Olympic Colada, on the other hand, is a perfect spring-skiing drink. The 3-layered (red, white & blue) Piña Colada with rum was created to celebrate Sierra’s Olympians in the 2018 winter Olympics. If you love Bloody Mary’s and want to make it a meal, head over to the Sierra Pub in the main lodge. 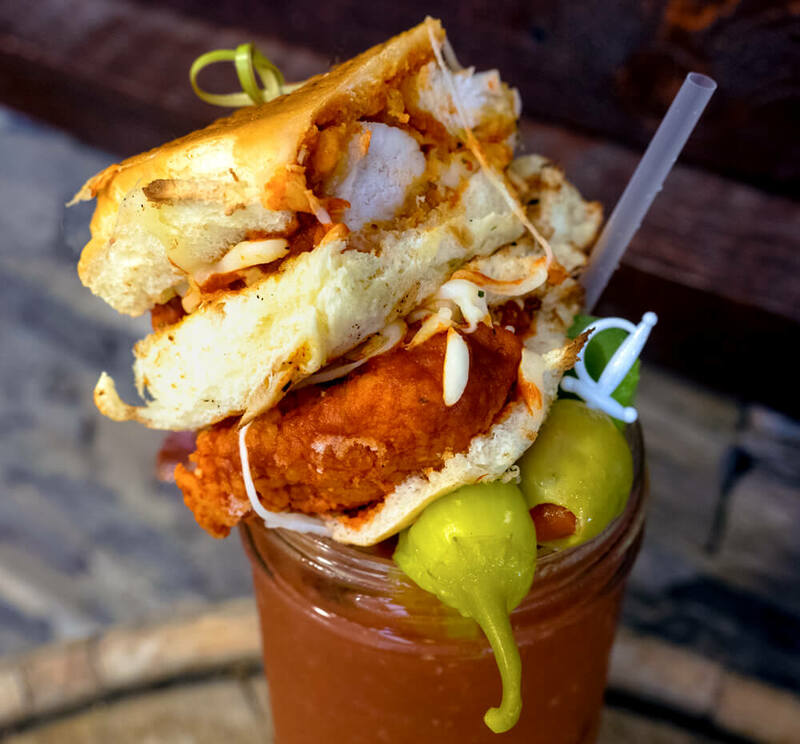 This tasty Bloody Mary concoction comes in a BIG glass with a REAL chicken sandwich stacked on top. It might be the most creative idea ever… a full sandwich and a drink?!? The ultimate for any Bloody Mary lover. As the old adage goes, “Don’t judge a book by its cover”, the same thing is true for Sierra-at-Tahoe. On the surface, it may look like a normal resort. But it’s the secret stashes that make this place our favorite! So, the next time it snows… you know where we’ll be. Sierra-at-Tahoe, here we come!